Mamata Banerjee on Thursday hit out at Narendra Modi, saying "If Modi is re-elected, he will do everything to defy Constitution." On Wednesday, the TMC supremo strongly contested the “speedbreaker didi” allegation made by the Prime Minister, while terming him as “expiry babu”. Hours before Mamata Banerjee hit out at the PM, Narendra Modi described her as a “speedbreaker” in the path of development of West Bengal. Taking on the Prime Minister’s claim, Mamata Banerjee said that her government in West Bengal has done a lot for the welfare of the people of the state. The Chief Minsiter asserted that the income of farmers in Bengal has increased three times under her rule. 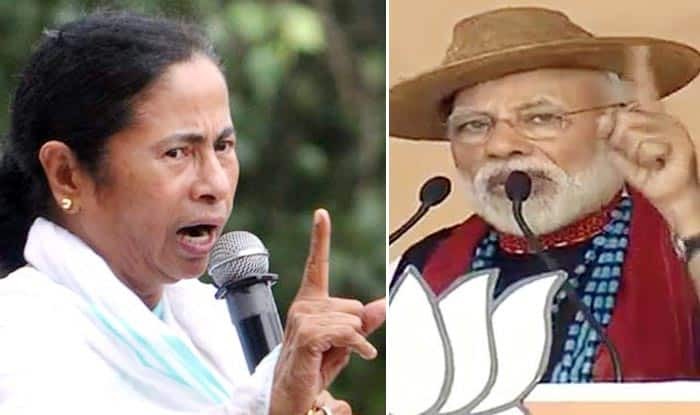 Mocking Prime Minister Modi as “expiry babu” and “expiry PM”, Banerjee dared him to participate in a direct debate with her in television or at a public rally. “He is an expiry babu. his govt has expired. You(PM) said in Siliguri that we(TMC Govt) did not do anything for poor, what have you done in the last 5 years? Don’t speak lies everyday,” the West Bengal CM said. She claimed that 12,000 farmers committed suicide during Modi rule in the country.